ASAP Heating and Air announces its expansion with the acquisition of GreenHome Solutions. ASAP Heating and Air knew the importance of advancing its HVAC company through a buy out as a smart path for growth. With the opportunity to cultivate complementary core businesses, the cutting edge company now provides increased knowledge with a diversified staff, world-class technology capabilities, and enhanced customer service as it brings together the expertise of two thriving companies. 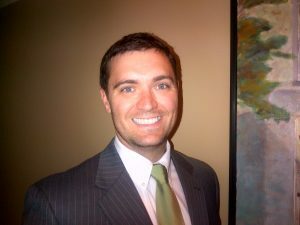 GreenHome Solutions’ former owner Ryan Hudson has taken on the responsibility of President for ASAP’s expanded entity. A leader with a strong reputation in comprehensive HVAC services, ASAP Heating & Air is at the forefront of serving residential and commercial customers in the greater Columbia, SC area. With a concern for the local community and environment, all of ASAP’s experienced service technicians and engineering professionals are licensed, insured and have years of heating and air conditioning experience to deliver a better service experience for its customers. Offering the latest technology as well as energy saving solutions, ASAP Heating and Air is one of Columbia’s top heating and cooling comfort resources. For more information about ASAP Heating & Air, visit www.asap-mech.com.